Quants and its subsidiaries develop and publish risk indices with financial derivatives, portfolio models for smart beta investing, and market and operate liquid alternative funds and financial technology platforms for superior risk management since 2010. The company combines decades of experience and intellectual properties in the quantitative risk analysis and portfolio optimization with derivative overlays, and has been providing services to the institutional clients since inception. 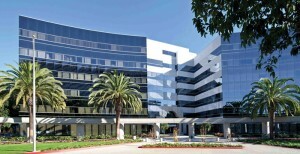 The company has headquarters in Los Angeles. Quants develops complete portfolio solutions with real-time risk scenarios in quantitative platforms and is dedicated to offering strategic alternative products for investors, advisors and fund managers. The company is planning to streamline and democratize the sophisticated risk management by releasing new Exchange Traded Funds (ETFs) that are using derivative overlays and an online platform for automation (Robo-Advisor). The investment portfolios consist of the major index investments in stocks and bonds with the risk management in the financial derivatives. These alternative investment models historically outperform the traditional mutual funds. Quants's investment model optimizes the risk and return profile of the portfolios for potentially better risk-adjusted returns than the benchmark indices. Quants develops software generally specialized in analyzing the global markets and risk management with the financial derivatives. The main trading focus of the firm has been in derivative overlays on large cap indices, major industries, US Treasuries and select commodities. The software assets maximize the profits through the optimal asset allocation and rotations, generally with a hedged approach according to the trend and volatility characteristics without tactical trading. Quants has been licensing its software assets to the high net worth and institutional investors since 2011. The support services included providing the consulting and specialist trading services in the derivatives markets and customizing them for the strategic alternative trading and investment platforms. The partnerships with private and institutional investors provided Quants the corporate investments and revenues to keep improving on its investment programs since inception. The firm has established a track record in derivative overlays, but especially focused on the index and sector investments with the statistical volatility strategies since 2012. Quants currently operates its own US and offshore liquid alternative smart beta index funds, and provide the specialist services in executing the derivative overlays for institutional risk management. Currently, portfolio and fund offerings target to achieve better risk-adjusted returns by reducing the risk exposure (Sharpe near or over 2) and to maximize the investable capacity in a slower paced execution environment. Quants is also introducing the Exchange Traded Funds (“ETFs”) to streamline the risk and return optimization and portfolio insurance process, and provide liquidity for the creation units of the ETFs from its liquid alternative fund assets. The ETFs will allow the complexities of derivative overlays to be abstracted and offer instead easily applicable, better risk-managed portfolios in both institutional and individual investment accounts. Quants’s asset allocation methods are applicable to the institutions and advisors following the traditional index and industry investments in the long term portfolios while looking to mitigate the portfolio volatility in the short to medium term. Quants is a registered investment adviser since 2010. The senior management at Quants has decades of combined experience in the software development, asset management, and derivative overlays in liquid alternatives. We work with the risk and compliance officers of our counter parties and traders in the institutional desks, and fill the staffing needs depending on our projects. Quants is currently looking to hire quantitative developers and fund managers ahead of launching its ETFs. We recognize the challenges in executing large portfolios and training needs of our staffing. 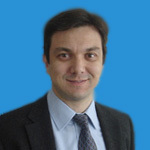 Gokhan Kisacikoglu is the founder and the chief developer of Quants since March 2010. He managed the company’s alternative fund in 2011 and developed the asset allocation and risk management strategies since December 2011. 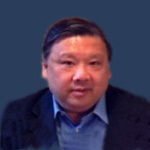 He was the founder and quantitative developer at Quantum Growth Partners from August 2006 until October 2012. Before launching his own startups, Gokhan Kisacikoglu developed trading algorithms for his family and friends funds since 1998. He worked as a software developer for the computational simulations at DreamWorks Pictures, Sony Pictures Imageworks, Kodak Cinesite, and Scientific and Technical Research Council of Turkey from 1993 until 2008. He patented many of his inventions with his colleagues and presented them at the prestigious institutions and conferences. 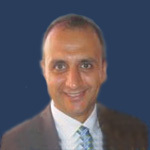 Mr. Kisacikoglu graduated from Middle East Technical University in 1996 with a Bachelor of Science in Civil Engineering. 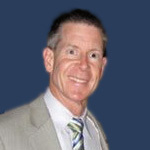 Brad Turner brings over 30 years of corporate finance, management consulting, operations and marketing expertise with experience at Fortune 1000 and startup companies in providing services that have included business development, capital raising, customer acquisition and event strategies, management consulting, marketing, product development, sales and technology integration. He is the founder and publisher of Cleantech Press and Completion Fund focused on cleantech, capital raising, economic development, sustainability, and technology innovation. 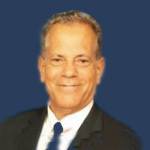 Mr. Turner graduated and received a Bachelor of Science Degree in Business Administration and Marketing from San Diego State University in 1977. Sammer Fam is a serial entrepreneur and an accredited investor, who is terribly in love with the outsourcing industry and what it can bring for lean businesses and startups. Sammer started in the Fortune 500 (Nestle) in marketing and strategic planning then moved to start up various companies in the Middle East. He sold two of these companies and learned the models to create lean businesses that succeed. He connects U.S. Based entities with offshore-preferred vendors according to the companies real outsourcing needs, specifically in software-web Development, B.P.O., VRM (vendor relationship management) to guarantee success. Greg McAndrews has served as financial public relations counselor to more than 250 public and private companies. He has personally created more than 300 annual reports; established dozens of investor relations programs and successfully set up strategic plans for raising $2.17 billion in 234 securities engagements. He has represented John De Nigris Associates, Inc. of New York (the first financial public relations firm to be publicly-traded) as an employee and then a partner during this time. Mr. De Nigris retired in March 2000. Mr. McAndrews is the author of papers on "A 10-Point Public Relations Program for Financial Planners", "Marketing of Sec. 8 Housing Tax Credits" and "An Introduction to Sec. 29 Oil and Gas Tax Credits." He has been appointed an expert witness regarding mass solicitation, advertising, and promotion issues in securities sales. 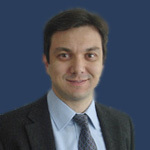 David L. Mau is a Director at Belmont Acquisitions and manages Belmont Global Research, which publishes equities research on publicly traded companies in the domestic US equities markets. David has over 9 years in the equities research business and draws upon his extensive work experience in the technology, software, consumer products, and other industries. His background includes finance, business development, product marketing and sales positions in various industries for over 30 years. With this diverse background in hand, David is well equipped to understand how public companies can grow their businesses and avoid the obstacles that might impede their progress. Finding workable investment ideas is a passion for David as he strives to bring value to his client audience. David began his career with a BS in Electrical Engineering from University of California, Davis. Ron Komen is the President and CEO of Komen & Hughes Consulting, an engineering consulting firm. He has managed multi-million dollars projects at Sempra Energy, Thermal Electrons, Union Electric, Kellwood Corp. He is an advocate of promoting energy conservation, renewable energy, and clean environment. 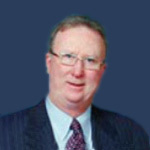 He has over 30 years of extensive experience managing stock portfolios. He passed his Series 7 exam and was a broker with Wedbush Securities in Los Angeles, California. He has also successfully been managing and owning real estate investments. 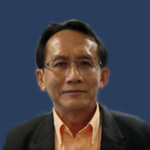 Ron is active in helping the Thai Community and is the Vice President of the Thai American and Asian Alliance of San Diego Association. He received his MBA, Master of Business Administration from National University, San Diego, California and his M.S. & B.S. Degrees in Electrical Engineering from University of Missouri, Columbia with a Curator's scholarship recipient for both Bachelor and Masters Degrees programs. He is a Licensed Professional Engineer (P.E.) in the state of California.